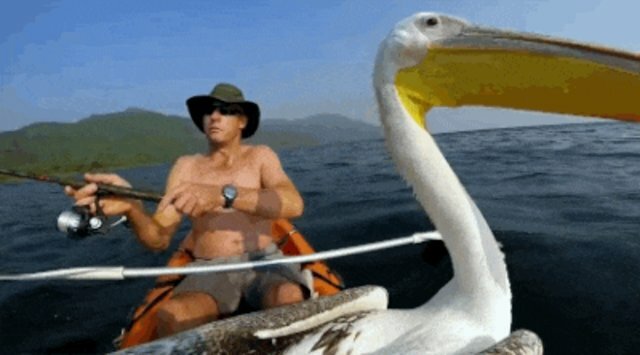 It's not easy being a bird left to face the big wide world alone - but fortunately for one pelican who lost his flock, he wasn't long without a friend. Bigbird, as he's come to be known, was rescued a few years back by Jeff Condon, who runs a safari camp on the shores of Lake Tanganyika in Tanzania. After a storm swept through the area, the white pelican had somehow gotten separated from the rest of his family and was found stumbling ashore unable to fly. Condon, to borrow a phrase, took Bigbird under his wing. 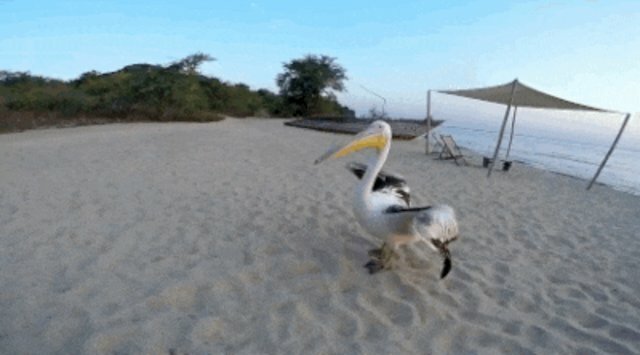 Over the months that followed, Bigbird's new friend helped him rehabilitated - going as far as teaching him fly, demonstrating the process by running down the beach with arms outstretched. Eventually, under Condon's tender care, Bigbird learned how to soar, though it soon became clear that he had no interest in leaving. That being the case, Condon realized he needed to start a new kind of training so that Bigbird could learn to find food on his own. "He's adopted our camp as his flock now," said Condon, in a video from GoPro. "We've been teaching him pretty much everything he needs to know. We want to try to get him fishing for himself. We're spending a bit of time with him in the water, swimming and diving under the water." 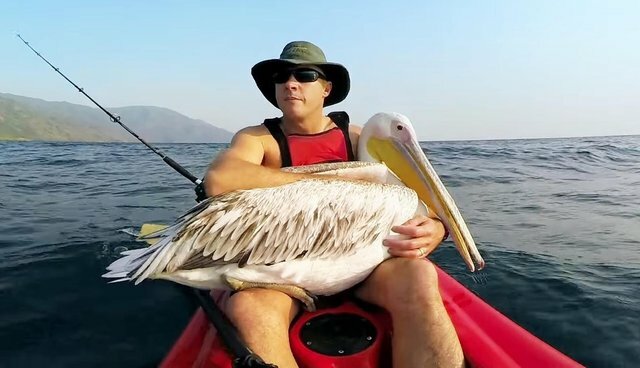 Despite not being a bird himself, Condon has proven to be a remarkable instructor to his feathered friend, who now seems well on his way to mastering what pelicans do best.